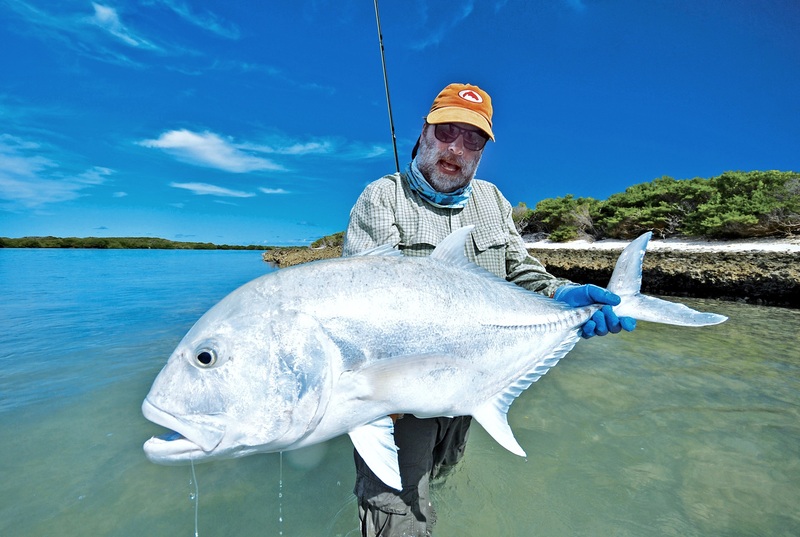 The best flies to land GT (Giant Trevally) - Alphonse Fishing Co. 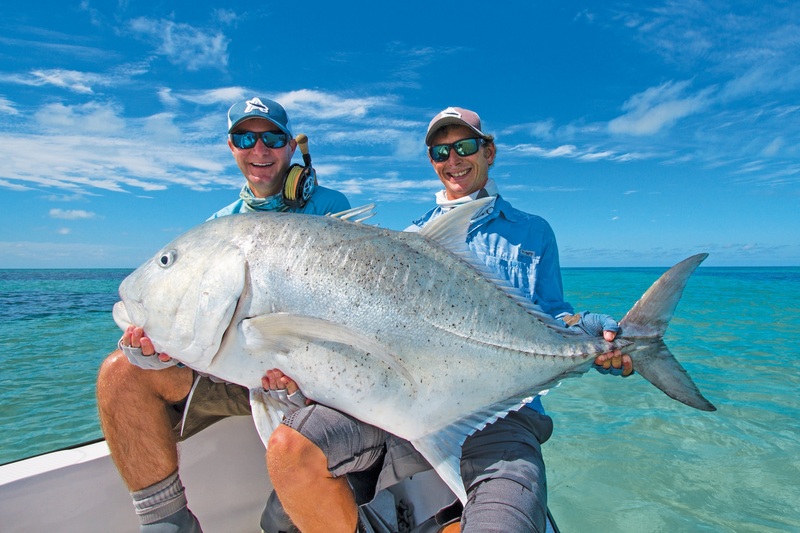 Targeting Giant Trevallies on the fly is not for the faint-hearted angler. 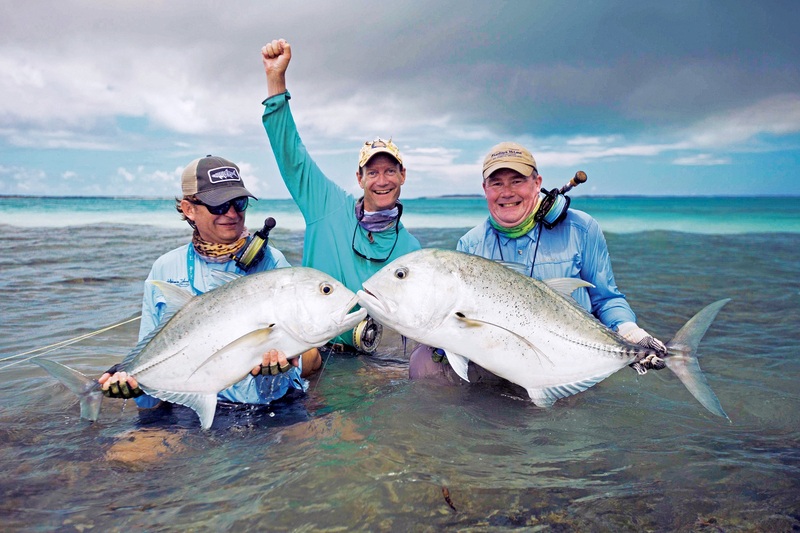 They are fierce, big, aggressive and incredibly powerful, all of which are quite often completely underestimated by new anglers, but respected by novice and seasoned fishermen alike. Due to GTs being 100% carnivorous and even cannibalistic at times, they are prime targets with a fly rod. There are multiple fly patterns that will work when fishing for these fierce fish and most times if the fly is presented properly and stripped the correct way, it will get eaten. 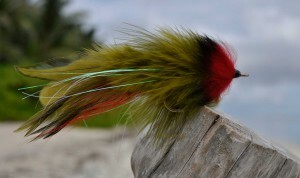 Our second choice would have to be an Olive and Red Semper Fly. This fly, like all Semper patterns, have an incredible movement in the water which makes them irresistible to any cruising GT. Both of the above mentioned flies are fished in the same way – long and fast as possible strips/retrieves need to take place. And last, but definitely not least would be a Popper. 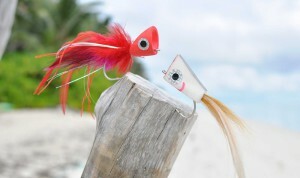 The Not Your Average Popper (NYAP) has revolutionized fishing for GTs with a Popper and is wildly effective. However, slightly more robust and traditional Popper patterns are becoming very popular as they create a greater disturbance on the water. In essence though, they both have the same concept. 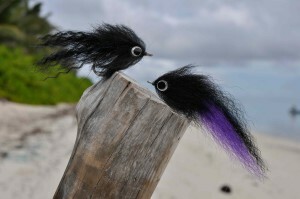 Poppers are generally fished over deeper waters such as drifting on the skiff in the lagoons or casting into the channels as well as floating the outer shallow reef of the atolls. With their violent and water-disturbing effectiveness, they have the ability to draw fish from afar or from the depths. 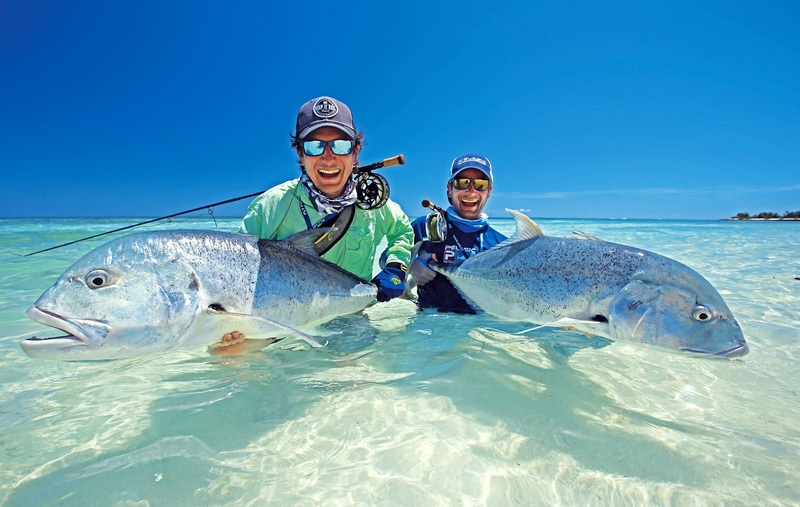 These are our top fly choices for targeting Giant Trevally in our waters and beyond. 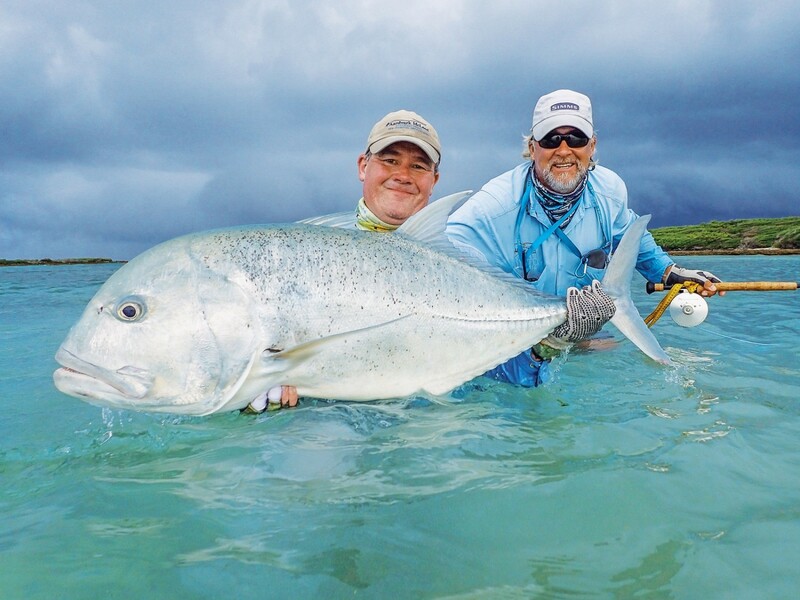 So now that you’re geared with the best GT flies, you can tackle fly fishing for Giant Trevally with ease and finally land that giant you’ve had your eye on!